– I didn`t know what was going on. – The writing is too dense and descriptive in parts, I just skip over it. – Who are all these people, and what do they look like? These are all kind of the same thing. I know it, too, and knew it when I was writing the book. I wanted to get into some action, dialogue, and get the story moving. After it was moving, I`d drop some description on the readers. I like the idea of compartmentalizing. What I mean by that is this. – This is a section of dialogue. It`s pretty much just dialogue and nothing else. – Alright, then this is a section of description, it describes those people who were in the dialogue. It`s probably pretty dense, with lots of made-up words. – Now this is backstory, it`s all tell, it`s all lumped together, it probably feels like we`re going off at a tangent. I gravitate to writing that way. But when I think about it, that`s not really a story. 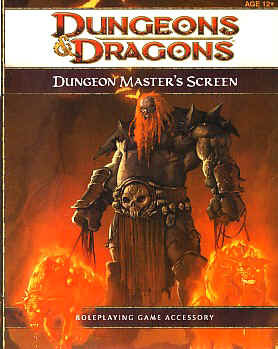 That`s a D&D master`s field guide. Here are your stats, your descriptions, and some phrases. What I`m producing is the resources of a story, but not the story-telling. I hide behind the DM`s screen, toss out lots of information, and expect the readers to put the story together for themselves. I must admit I like that style. The notion that the book is a riddle, a mystery, and the readers have to read into it to get to the story feels good. ** But without a doubt most books are not written that way, and for a good reason. People want to be `told` a story when they read a book. They don`t want to have to tell themselves the story. That`s the author`s job. I realize this further when I read bestseller thrillers like Daemon and The Lost Symbol. The reader doesn`t have to work, except to keep reading and turning the pages. There`s no chance that they`ll miss out on something. If they read it, and if the writer wrote it well, they get it all. That`s what I need to work on. Perhaps this is just an aspect of the second/third draft for me. I`m making it all up. I don`t have a plan, other than I need a good guy and a bad guy and conflict between them. This is the DM`s guide section. I break (invent, create) the story and the world in building blocks, laying them out one after the other. It`s not integrated, not really, because I haven`t got a whole world for it to integrate into yet. I`m still too close to the material to do much more than cosmetic changes. I move sections around, fix grammar, remove the worst of the purple patches. What I don`t do is integrate. It still feels like the words I wrote the first time around are imbued with some kind of magic. For sure this makes some sense. I still can`t see beneath them to the story actual, so I`m worried that if I erase them, my bridge to that magical world will be gone. Where I`m at now. I know the story well. I`ve written synopses and summaries and blurbs for it. I know the beats, the most important characters, I know where it`s going. If ever I could begin to integrate the story more, to properly tell the story, it`s now. So now I`m rewriting, trying to smooth things out, include enough of every ingredient as I go along to make a proper story. Of course I have the ever-present worry that what I`m doing will somehow make the story worse. But at this point that hardly matters. It has to change, or I just leave it alone. There`s at least one round of submissions left, so fingers crossed. * The Dawn books are a 5-book fantasy series, following the adventures of Dawn through a dark/weird fantasy world, trying to figure out who he is and what he`s supposed to do. I`ve written about three of them, and submitted the first to agents. 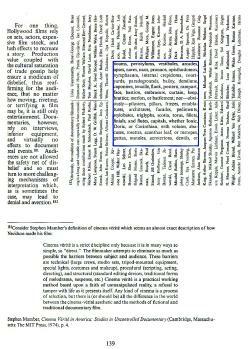 ** I loved Mark Danielewczi`s House of Leaves, which was exactly this. Every page had 3 or 4 story threads happening at the same time, some running as footnotes along the bottom, some written backwards, some in boxes, some in one-word-per-page segments. As the reader you had to read it all simultaneously, and kind of come up with the over-story yourself. I enjoyed that, though I guess it was kind of hard work. Probably most people want to just chill out when they`re reading, not work hard to understand.